For the last 20 years, I’ve cooked elaborate meals in even the tiniest of my Manhattan kitchens. 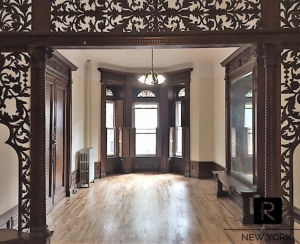 But when my husband took a job in suburban Phoenix last year, I was stunned and quickly spoiled by the sheer magnitude of the kitchen in our rental house there. The counters seemed to stretch endlessly and there were so many cabinets that the majority remained empty for the entire time we lived there. 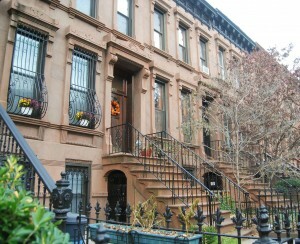 Still, when we happily bounced back to Manhattan a month ago, it felt comforting to return to a tiny kitchen. And what my sparkling new kitchen lacks in space (it’s the tiniest one we’ve ever had), it more than makes up for in charm and a view of a bustling Upper West Side street to boot. At the same time, the one thing I did know was that I had to look at the space with the precision of a scientist—throwing things in drawers and cabinets just wouldn’t work long-term. So, before I set foot in The Container Store, I asked Julie Starr Hook, a professional organizer, for a few general tips. Hook urged me to be creative and make tactical decisions to stretch this space-challenged space. It was excellent advice. Below, Hook's seven tips and how I made it work with some space-efficient items provided at no cost so I could road test them in an authentic NYC kitchen. 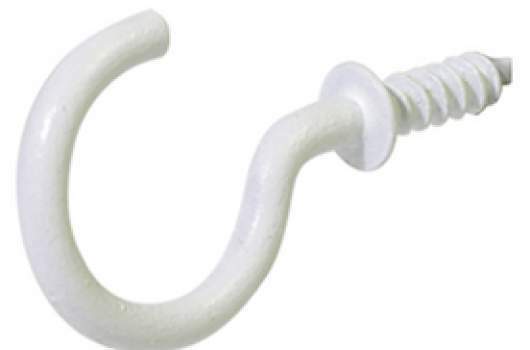 Coffee mug hooks also save cupboard space and make use of the wall. 1. Use wall space for coffee mugs. It’s a genius idea to use wasted wall space for storage. It took about three minutes to install six small cup hooks ($1.49) on the wall right next to my trusty coffeemaker. I picked the ones my husband and I reach for the most. Bonus: I got a full cabinet shelf back! 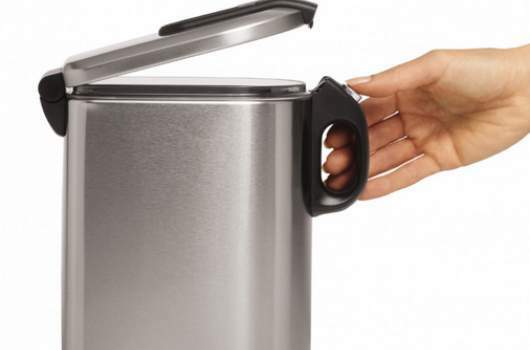 This stainless canister from SimpleHuman is used in Lambeth's kitchen for baking supplies. 2. Place kitchen utensils in a crock. With next to no drawer space, I realized I’d have to keep key kitchen utensils on the counter. But I didn’t want a boring container so I repurposed this cookie jar from CaféPress ($44.50) and stocked only the utensils I reach for most often. The rest are relegated to a repurposed compost tin I picked up in Arizona; it holds things like corn holders and cheese knives that are only used on occasion. Who's got space for a knife block? 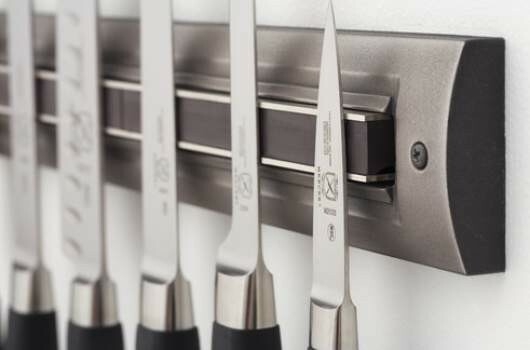 This knife rack makes use of empty wall space, to keep the counters (or what you have of them) free. 3. Keep knives out of reach. I’ve heard for years that chefs prefer magnetic strips to knife blocks both for ease of use and cleanliness. And, with one more piece of wall to take advantage of, I installed this knife rack from Wayfair. It’s pricey ($79.99), but with a budding young chef in our house, we couldn’t take chances on a flimsier one. Bonus: I can now use my one and only drawer for the knives, forks and spoons my son reaches for to set the table. 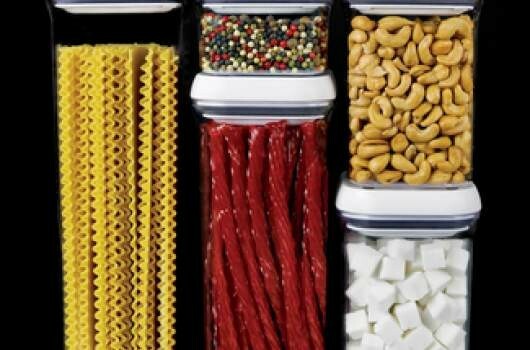 Oxo see-through canisters stack nicely to make the most of vertical space. I sought canisters I thought would fit the space and be the most useful. I ended up with Oxo Good Grips Pop canisters because I love how easily they stack up on top of each other. (Five are $49.99). For baking supplies, I opted for a set of three brushed-stainless-steel canisters from SimpleHuman ($69.99) for their slim size and the bonus: They’re finger print-proof. A narrow "pantry bin" (also used for magazines), can be a great place to keep the things you reach for a lot--like plastic lunch bags and tin foil. I used a narrow magazine bin to stow all the plastic lunch bags, tin foil, extra garbage bags, etc. we reach for regularly. It made use of a super-narrow cabinet that otherwise was just taking up space. Other options: Attach a bag holder to your cabinet doors. Stacking bowls take up less room on the shelves. Hallelujah! 6. Find versatile, stackable pieces. Since you have to be a giant to reach the upper shelves in my new kitchen, I found serving bowls that nest inside each other and are fun, too. 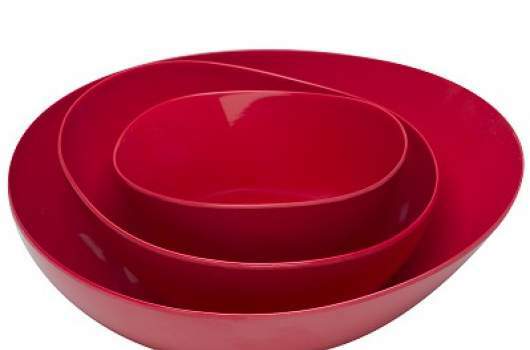 I opted for a three-piece serving set of nesting bamboo serving bowls from Zak! Designs ($24.99) and expanded on my existing collection of latte bowls from Anthropologie. 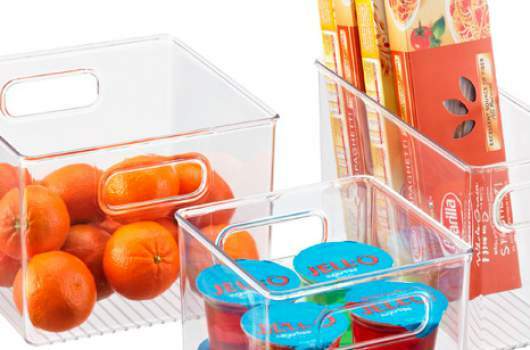 At $5 each, they’re colorful, fun, dishwasher-safe and can be used for everything from cereal to takeout. 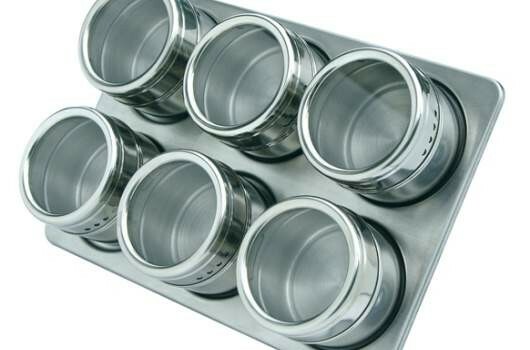 Keep spices neat (and visible) with this spice rack that hangs on the wall and doesn't take up precious cupboard space. 7. Be realistic about spices. Instead of collecting the most obscure of spices, I did some curating of the spices I need on hand. That list basically boiled down to six favorites, which fit perfectly on this Mastrad spice rack ($19.99). While you can hang this on a wall, I decided to stand it up on my window sill, inches from the stove and tucked right next a growing collection of planted herbs that just love my New York City kitchen.